The club house of Israeli Premier League side Beitar Jerusalem was torched by arsonists last night and police suspect the “extensive damage” was caused in protest over the club’s recent acquisition of Zaur Sadayev and Gabriel Kadiev, two Chechen muslim players. Beitar have already been sanctioned by the Israeli FA after their fans chanted anti-Muslim slogans and unfurled a sign protesting the Chechens’ arrival during the first game after Sadayev and Kadiev joined the club last month. The club were fined around £9,000 and ordered to close the 7,000-seater eastern stand at the Teddy Kollek Stadium where the club’s ultras usually congregate. Four fans were also indicted. 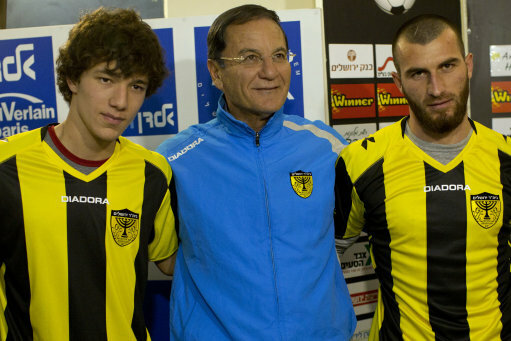 Beitar are widely known to be a right-wing club and have never signed an Arab player at the behest of their intolerant fans, despite players of Arabic descent being on the books of every other team in the Israeli Premier League and the Israeli national squad. The anti-Muslim chanting portion of the article is a perfect example of why it is often manifestly unfair to punish a club for the conduct of some of its supporters. Beitar is being punished because the club took the courageous step of bringing in Muslim players and some of its supporters, unfortunately but predictably, objected via inappropriate behaviour. The lesson to other Israeli clubs is that they also risk punishment if they take a sufficiently courageous step and some of their supporters loudly object. The offending supporters should be banned, but Beitar as a club should be congratulated.